A total of 1,058 entries are found on the Top 50 lists over the entire 21 seasons including many programs that returned repeatedly. Six seasons ended with 51 programs on the list and a sixth season contained 52, all as the result of ties for 50th place. 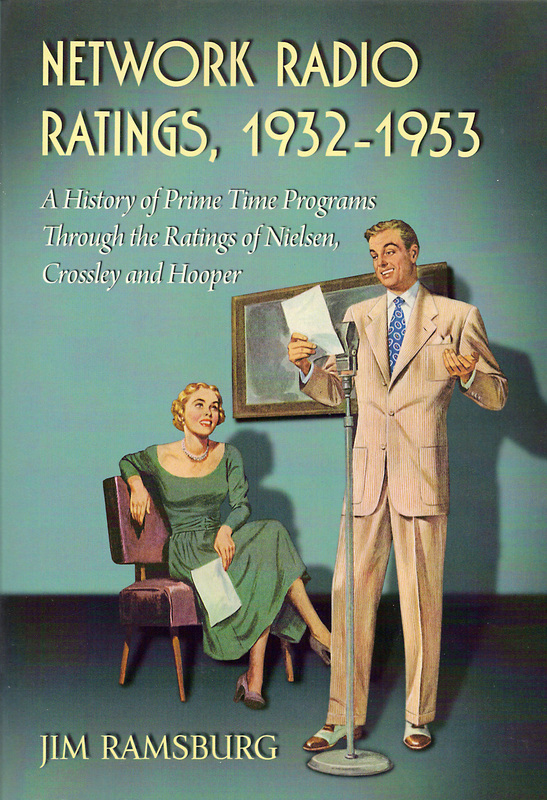 NBC originated 47.5% of the total programs and CBS aired 40.2%. Blue/ABC trailed at 12.1% and Mutual had a mere two programs, only 0.2%, of the 1,058 entries. NBC and CBS traded bragging rights to the most shows in the Annual Top 50 in streaks. NBC held first place for the first three years of the Golden Age but CBS leaped to the lead in 1935 for two seasons. NBC reclaimed the lead in 1937 but CBS won three consecutive seasons beginning in 1938. Then NBC took over for the next eight straight World War II and Postwar seasons from 1941-42 through 1948-49. The network’s peak came in 1944-45 and 1945-46 when it originated a whopping 33 of each season’s Top 50 programs. This was also the heart of the period in which NBC broadcast each month’s Number One program for a record setting 120 consecutive months. The streak began in June, 1935 with Major Bowes’ Original Amateur Hour. Included in the run were Number One months scored by Jack Benny, Edgar Bergen & Charlie McCarthy, Bob Hope, Red Skelton and Fibber McGee & Molly. NBC’s monthly streak was finally broken in June, 1947, by the CBS powerhouse Lux Radio Theater which began its own string of 15 straight months as Network Radio’s most popular program. The CBS talent raid of the late 1940’s paid off in 1949-50 when the network began four straight winning seasons as the Golden Age ended. ABC/Blue enjoyed its greatest popularity in the early days of the Golden Age as the NBC-Blue network, finishing second in 1933-34 and 1934-35. It bottomed out in 1944-45 and 1945-46 when Walter Winchell’s Jergens Journal on Sunday nights was its sole Top 50 program. The network made a minor comeback as the independently owned ABC Radio, peaking in the 1947-48 season with six shows in the Annual Top 50. As detailed in Network Radio Ratings, 1932-53, there are many reasons why Mutual placed only two programs in the Annual Top 50 during the Golden Age. But the fact remains that were it not for Gabriel Heatter’s nightly newscasts during 1944-45 and The Roy Rogers Show of 1950-51, the “World’s Largest Network” would have been shut out entirely.